Type in a keyword to see all events which contain it. Enter any keyword that is expected to be in event details into the Filter by Keyword box, below the calendar list. All events which contain the keyword in the current date display will appear. All other events would be hidden. You can scroll through dates to see more results. 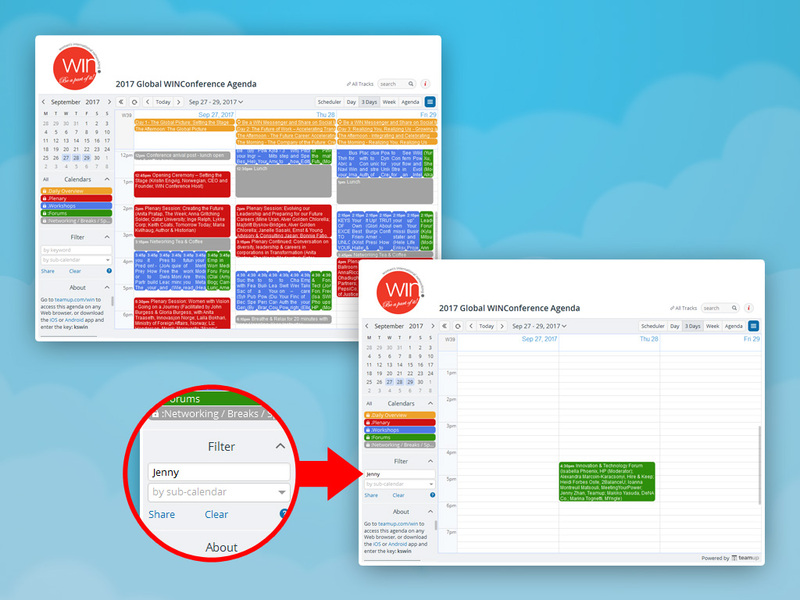 If you use multiple keywords, such as Jenny or Work, the filtering results would include events which match Jenny OR Work. Read more about filtering.